9: Slight imperfections in the fabric. 8: More than 2 slight imperfections in fabric and may have slight unevenness of fabric. 7: More than 3 fabric imperfections and some unevenness of fabric or creasing. Made in USA. Shipped from California. All Slightly Imperfect bras function perfectly. Any flaws are aesthetic only and will not interfere with the effectiveness of the bra. Outlet bras are clearance bras and are limited stock. Sometimes they sell out. If we do sell out before shipping your order, we will email you. 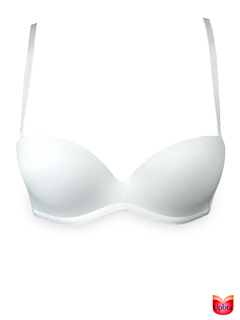 Imperfect Upbra bras may be returned for EXCHANGES ONLY, within 30 days of the shipping date. Returns for refunds are not allowed. Coupons and promotion codes CANNOT be applied to Slightly Imperfect Upbra Bras.